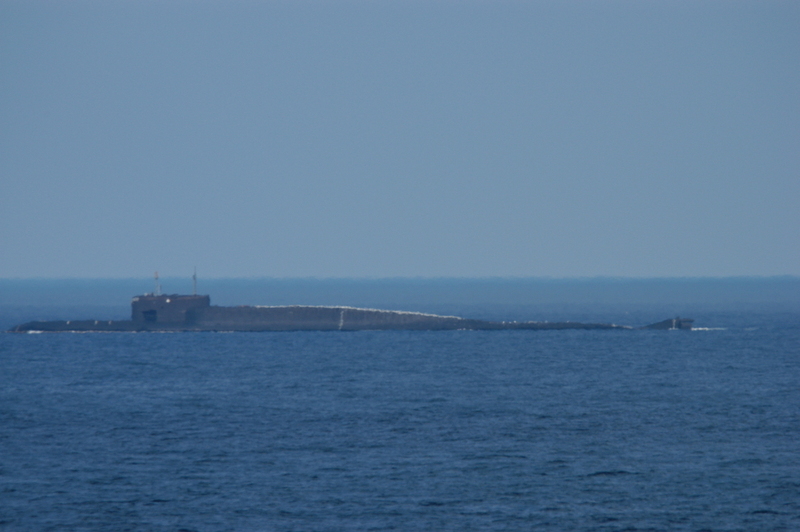 Ballistic missiles were launched from submarines in the Barents- and Okhotsk Seas. Long-range aircraft were also in the air with dummy nukes. A video posted by Russia’s defense ministry Thursday evening shows how the crew on board the Northern Fleet’s Delta-IV ballistic missile submarine “Tula” prepared for the launch of a missile. “Tula” has Gadzhiyevo on the Kola Peninsula as homebase and can be armed with 16 Sineva missiles carrying nuclear warheads. Also, long-range bombers armed with dummy nuke cruise missiles took of from the airfields in Engels (Saratov), Ukrainka (Amur) and Shaykovka (Kaluga). Videos show all three types of Russian long-range bombers able to carry nukes; Tu-22, Tu-160 and Tu-95. “On October 11, 2018, on the instructions of the President of the Russian Federation – Supreme Commander-in-Chief of the Russian Armed Forces Vladimir Putin, an exercise of strategic nuclear forces was held,” the statement from the Defense Ministry in Moscow reads. The nuclear exercise takes place just one day after Deputy Foreign Minister Sergei Ryabkov warned that the extension of New START treaty is under threat. Russia has proposed to the United States to engage in discussions on how to prolong the agreement regulating the number of deployed nuclear warheads and carriers. Last October, Russia exercised a similar nuclear missiles war game including launches from submarines in the Barents- and Okhotsk, as well as silo-based missiles from Plesetsk. NATO is currently preparing for its large-scale exercise Trident Juncture in southern Norway with about 50,000 soldiers.